Instagram is by far my favorite form of social media. I LOVE staging pictures and sharing my favorite things with y'all, but one of the biggest reasons why I love this app so much is the amazing teacher instagrammers out there! 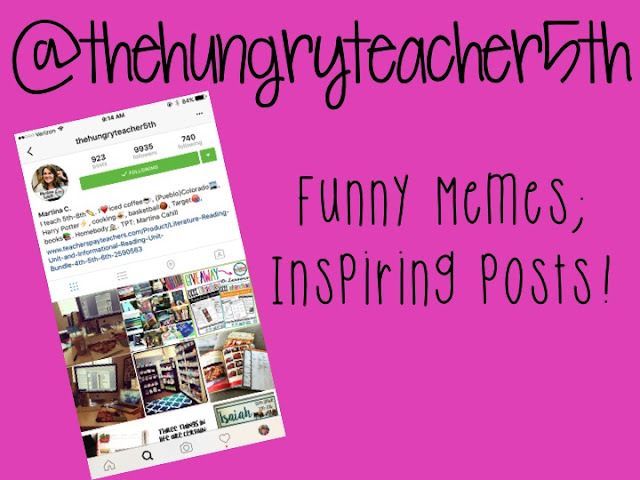 I have gotten SO MANY IDEAS and been inspired countless times from teachers sharing on Instagram. I've gathered 12 of some of my favorites to share with y'all for today's post. Warning: there will probably be a part 2 to the post because there are so many amazing teachers out there! If you want, you can follow me too! I have 3 different accounts (I told y'all, I'm obsessed with Insta!) I have one where I post everyday life, one that I share my book recommendations, and one where I post about all things teaching. 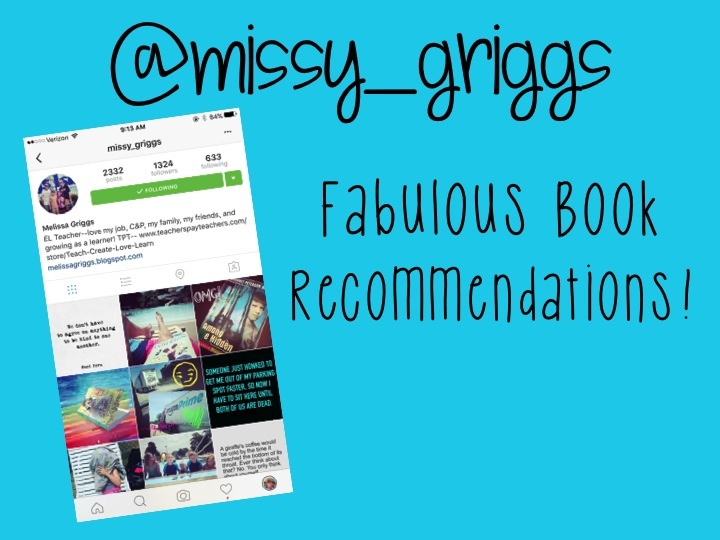 Stacey is the queen of book recommendations to me. 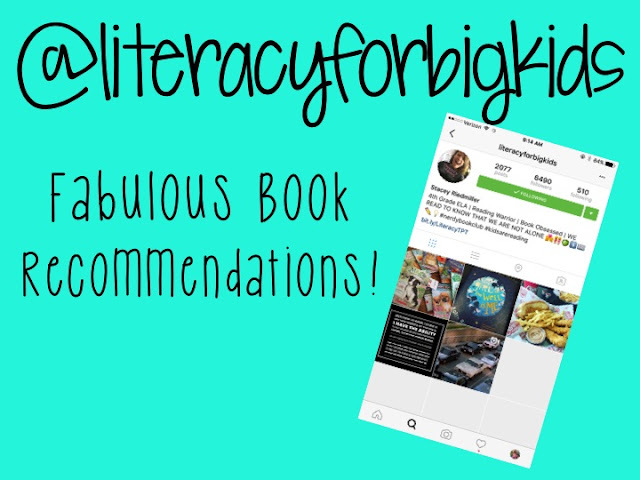 If there's a book that you need to have in your classroom library, Stacey knows what it is! I LOVE Martina! She has the best content on her Instagram. Her blog posts are amazing, too! 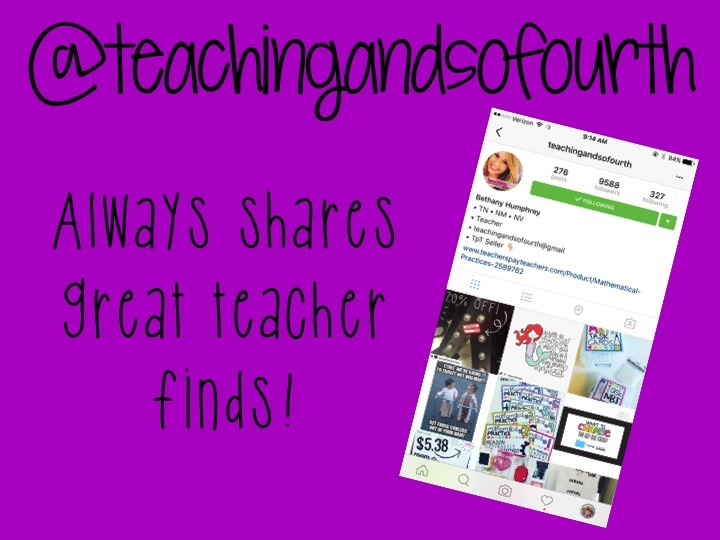 Every time I look at Bethany's pictures, I have to fight the urge to go shop because everything she posts is something that I need for my classroom! Love her! Brittany is just amazing. 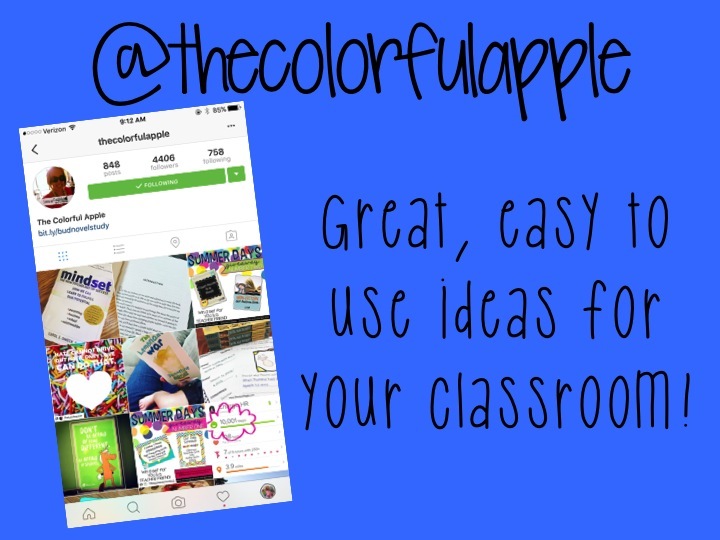 She's so creative and always has new ideas that you can easily implement in your own classroom. Plus, her whiteboard idea is simply genius. Fourthnten is another teacher that I always look to for book recommendations. 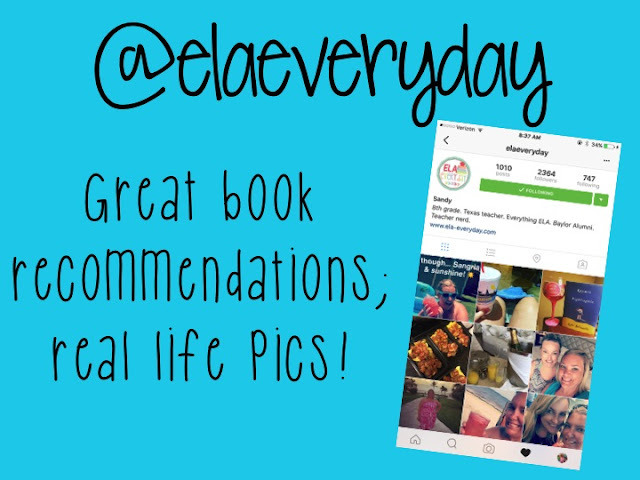 She also shares pictures of her everyday life, which I love! Melissa is one of my all time favs! 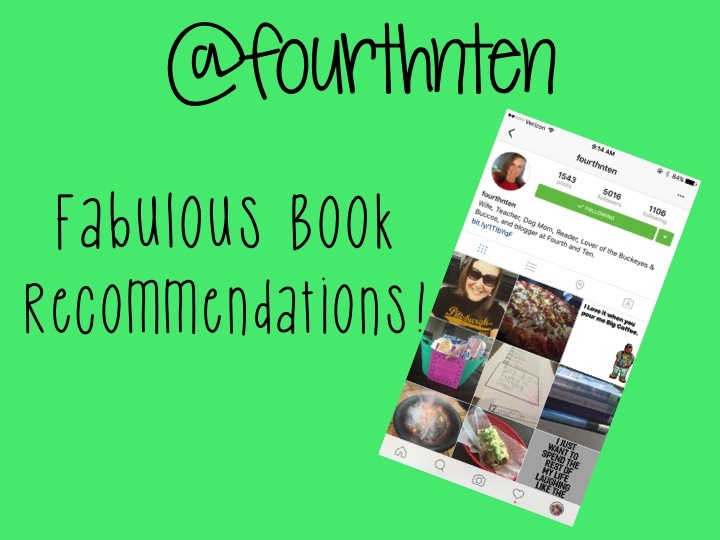 She's a huge reader and I'm always adding to my TBR after seeing her pictures. If you don't leave Hannah's Instagram feeling inspired and motivated, something is wrong! 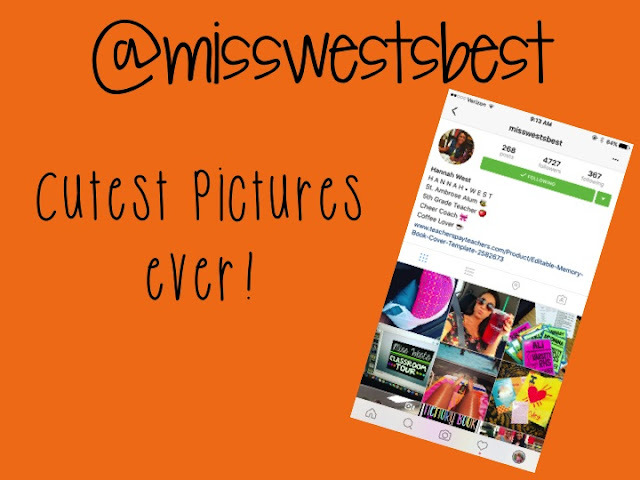 This girl has the PRETTIEST pictures!!! Love, love, love! Terri is the best! She's so creative and shares so many useful ideas. Her anchor charts and pictures from her Erin Condren are swoon worthy. I would kill for her handwriting! 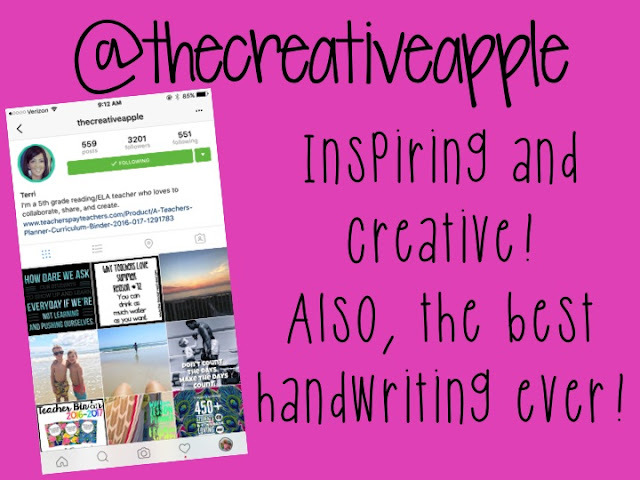 The Colorful Apple shares the best classroom pictures. 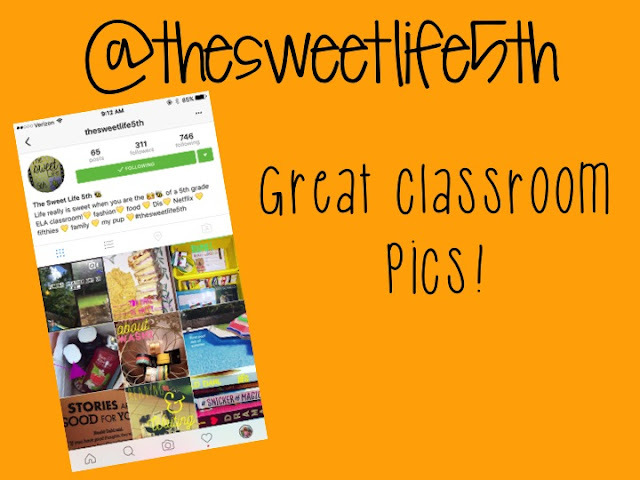 I love seeing pictures of actual classrooms, so she's a must follow! 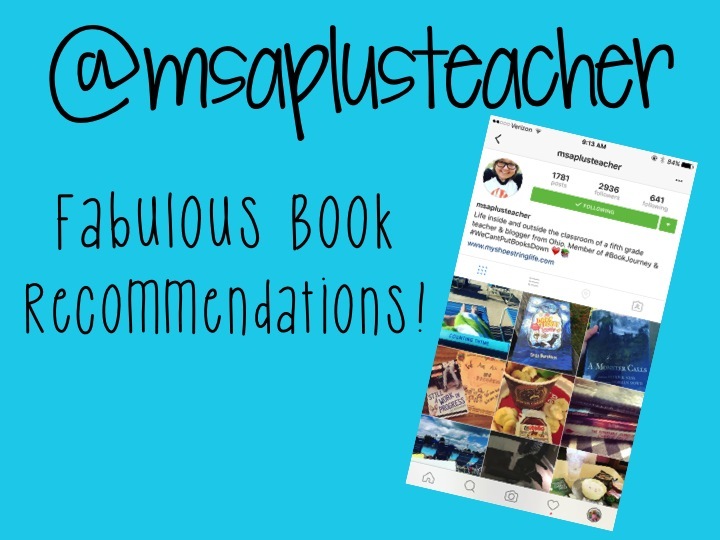 Msaplusteacher is another must follow for book recommendations! The Sweet Life 5th is a relatively new account that I started following, but she's quickly become one of my favorites! Sandy is an 8th grade ELA teacher and one of the only high school accounts that I follow (yes, I know 8th grade isn't technically high school, but I attended and teach at a K-12 school that 7th thru 12th is considered high school, so that's what I think of it as). I love seeing what she does in her classroom and seeing how I can adapt it to fit my 5th grade class. 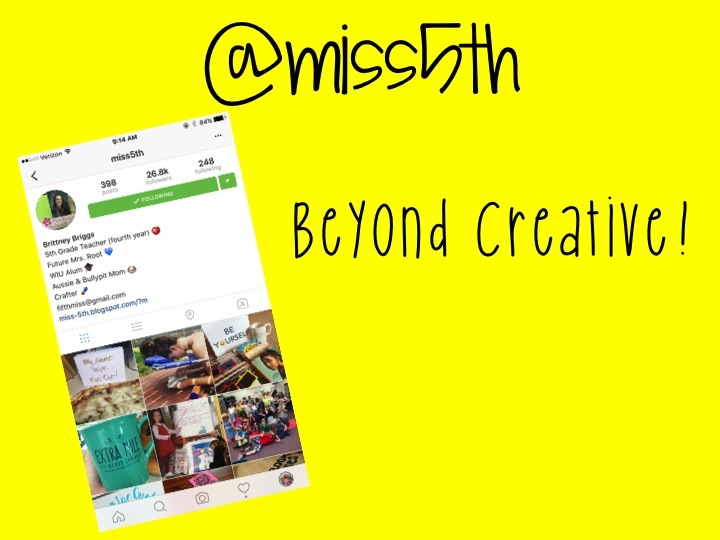 Her ideas really challenge my advanced kids and I love it!